Residential sail with 1-1/2 inch UV webbing For residential use in sails up to about 325 square feet. 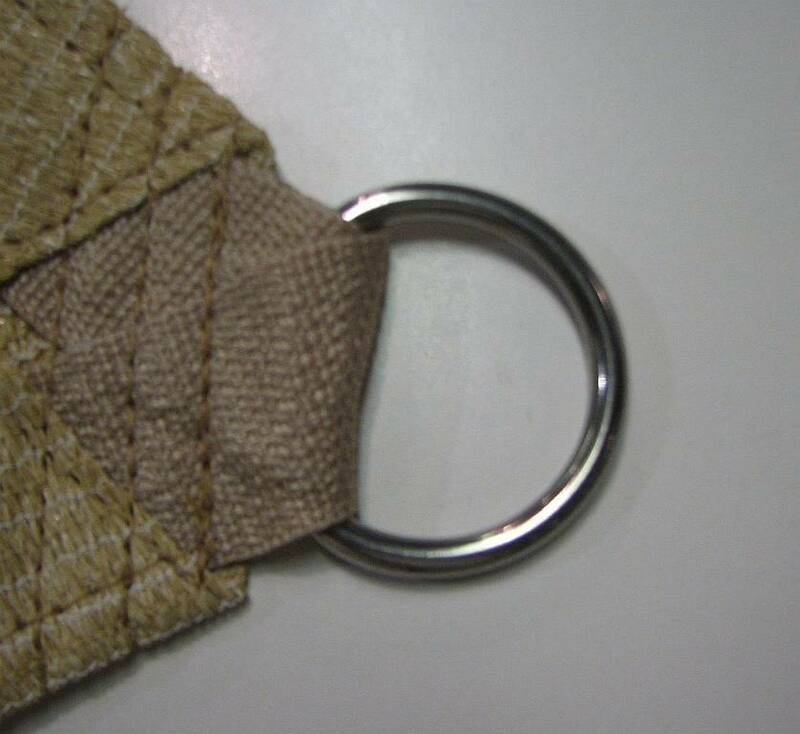 1-1/2 inch webbing is rated at an 1800 pound break strength. Heavy residential/light commercial sail with 2 inch webbing For commercial applications and larger residential use in sails from 325 to 500 square feet. 2 inch webbing is rated at a 5,500 pound break strength. Light commercial sail with 1/8 inch steel cable reinforcement For commercial and residential applications where a steel cable is required. For use in sails up to 325 square feet. 1/8 inch cable has a 400 pound work load strength and a 2,000 pound break strength. Commercial sail with 1/4 inch steel cable reinforcement For large commercial and residential applications where a steel cable is required.. For use in sails over 325 square feet. 1/4 inch cable has a 1,400 pound work load and a 6,000 pound break strength.